The "Very Low Quality" (VLQ) flag reason is really annoying me. It is the analog to the mommy mommy flag (which my 1.5-year-old child raises quite frequently). It provides no real clue as to what the flagger really wants us to do with the post. Does she want us to close the question? Does she want us to edit it into shape? Does she want us to delete the question? Does she want us to ban the user? Does she want us to jump around and have a party? Should we get rid of this flag reason? Is it just me? Should and can we replace it with something better? EDIT I accepted Jeff's answer. The tougher wording has heavily decreased the amount of very low quality flags. We now see only about 25% of the amount we used to and they are usually valid. Additionally, we now only allow very low quality on posts with a score of 0 or lower. This question/answer has severe formatting or content problems. This question/answer is unlikely to be salvageable through editing, and might need to be removed. Essentially this is synonymous with flag for removal. Both for the post and implicitly for the user who created that post … if they accrue enough of them. Whereas a downvote means "maybe this user is just having a bad day", a flag for low quality means this post, and possibly this user, are totally stinking up the joint and need to be ejected from the premises ASAP. The VLQ flag now carries a downvote from community. It is like "spam flag lite", meaning, no reputation penalty but like spam, it incurs a downvote from the community user. If a post is edited, any pending VLQ flags are now cleared (without harm) from the post. It is unclear that a post is still VLQ if it has been edited since it was flagged. Silently convert them to down-votes. Complete with the normal rep-deduction for the flagger/voter. Some said, "Put a fence around the edge of the cliff"
Some, "An ambulance down in the valley." A great many of them have nothing useful to contribute. If, upon encountering their first worthless answer we delete it with prejudice and move on, that's probably ok - if they don't come back, we've lost nothing of value. Building a fence just causes them to leap the fence before plummeting to their demise... We're better off funding the ambulance. We've put up a "no dumping sign", and then built a system to silently make trash disappear. 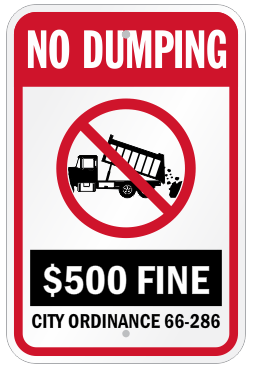 There is no $500 fine - we'll cheerfully clean up after you... Until we get fed up and just kill you. Why not make the flag act like spam flags, where it also subtracts from the post's score, at least unless/until it's dismissed? BTW: there's another problem with VLQ... Folks still don't differentiate between VLQ and "Not an answer" when it comes to answers. And there's no feedback there either; both flags will tend to result in the answer being removed. I like the idea of an automatic down-vote because it fits well into our existing system. Down-voted posts are de-emphasized, and less likely to waste readers time until the flag is handled. Authors of down-voted posts are encouraged to improve them. Voters are encouraged not to take down-voting lightly. And any reputation lost to a down-vote will eventually be restored once the trash is taken out. For the vast majority of users posting crap, it won't make any difference. For the majority of flags, it won't seriously inconvenience the flagger any. And for the handful who really just need a brisk slap in the face, it's immediate feedback telling them that this isn't Reddit. We can have the fence and the ambulance. I always assume "low quality" is a flag for removal. If the post can't be salvaged through editing then I close it as "not a real question" to give the OP a chance to edit it into shape themselves. After time it can be deleted. I've already stated elsewhere what I think of "low quality" flags on answers, but given the number of low quality questions we get every day on Stack Overflow, I think we still need the flag for questions. Lower the flag if a post is edited. If it's still low quality after that, someone else can flag it. 80% of the LQ flags I service need no servicing, one or several other users have edited the question constructively. In fact, most of the time I have to dig through revisions to see if the flag was valid at the time it was raised. That takes time. Show that a question is flagged by saying "This post may be in need of editing, if you can improve it please do"
Editing a post marked as "May be in need of editing" gets you 1 rep.
Posts that keep getting flags are presented to moderators. In other words, I don't see why the community can't be handling these almost 100% of the time. Moderators can then deal with the stuff that can't be salvaged. Not the answer you're looking for? Browse other questions tagged feature-request status-completed flags low-quality-posts .